According to the United States Department of Labor’s Bureau of Labor Statistics there are currently more than 691,000 warehousing and storage workers on the job in the United States, and that’s probably a low number, given that many factories and other commercial facilities have warehouse or restock areas that may not be classified that way. With that many people constantly working in or around potentially hazardous materials, forklifts, near storage areas, and around machines, safety concerns and strategies are a primary issue for warehouses, factories and other industrial operations. Where do you start when you’re working toward a safer operation? Is training enough? Will equipment and systems work on their own? Safety training programs are never finished; there is no “fire and forget” button because the nature of an operation and the makeup of its employee base are always shifting. New employees must be trained and current employees refreshed and kept up to date with any new machinery or processes. The first line of defense against accidents and injuries, as long as people are involved in your processes, is clear, consistent instruction. Even the best, most attentive employees will forget, become hurried, or become over-confident during hurried operations. Training and retraining not only reminds employees how to be safe, it reminds them why to be safe. In many cases, people who become overly familiar with a machine, a process, or an area will assume that because it is familiar, it’s safe. It is your job to help them remember that a conveyor, a processing machine, a forklift, or a dock edge can be dangerous. There are, essentially, two tiers of safety automation: safety systems and safety automation. McLaughlin further recommends utilizing 5S Visual Management systems in your warehouse. That type of system is inexpensive and easy to understand. Concepts such as motion sensors, safety gates, guard rails, and other technology or equipment augment the system and training already in place. A combination of effective safety systems and technology is essential for a safer workplace when they’re designed to work together. Safety equipment and machinery can be invaluable assets when integrated into a well-planned safety training and safety process. 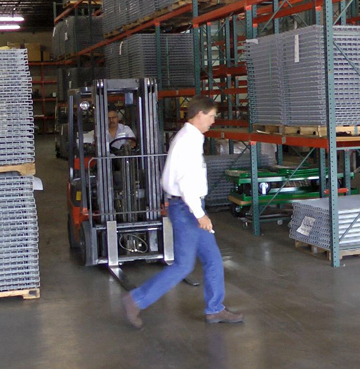 Automation technology such as robotics, carousels, palletizers, and sortation systems help make people safer by replacing live employees in risky, dangerous areas. In fact, one of the primary reasons to automate certain tasks is to reduce the safety and ergonomic impact that manual labor can have on employees, especially in high risk work areas, or places where backbreaking, repetitive labor is damaging to people. 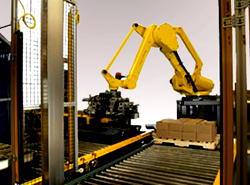 By reducing the need for workers in a dangerous area like palletizing, where difficult, repetitive stress puts workers at constant risk, automation equipment can essentially double as safety equipment. 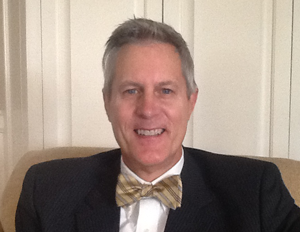 “Automation reduces the need for employees, and thus reduces the potential of worker’s comp claims, union negotiations, and accidents from safety-related issues.” – Allen C. Buchanan, Lee & Associates Commercial Real Estate Services Inc. Concerns with over-reliance on safety automation technology have been raised. 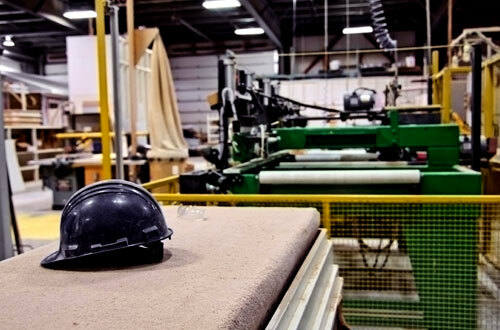 Safety automation — from simple systems like steel guard rails or emergency stop switches to the latest technology, such as motion sensors and lights — can reduce risks, maintain boundaries, and prevent or respond to hazards in ways that live employees and training processes cannot replicate. If the greatest concern is over-reliance on these innovations, that brings us back to safety training: training and automation are both effective, but more so when they are effectively integrated. It’s not a matter of deciding if your operation needs better safety training or improved safety automation equipment or software, because it probably needs both to operate at peak safety and efficiency. Safety training is always the first step to reducing warehouse and work space accidents and injuries. Safety automation solutions can fill in gaps, enhance training, and make safe environments safer, but the systems and the technology sometimes require additional or modified training. This is a fair concern, but if a safety automation system is done in an integrated manner, training hours don’t increase. They change. The right systems should integrate with existing training and never replace it. The right system might alter the type and content of training, but it shouldn’t necessarily increase the training load. No one would argue that a handrail should be replaced with training to help prevent people from falling off stairs. At the root level, hand railing is safety ‘automation.’ Training people can help prevent them from falling, and rails only assist in that. Good safety automation is a lot like a handrail – it requires little training to understand and acts passively. The goal isn’t less training or more training, after all – it’s a safer operation that runs at peak efficiency. Consider items such as motion sensors – they only help to heighten awareness, not to allow an employee to ignore the situation around him. They will not stop him if he’s reading text messages, but neither will training. They could alert him with audio and lights, but they can’t prevent irresponsible behavior. The right combination of training, systems, and technology looks different for every work space, and every operation. But once it is established and operating, gains in safety, throughput and operational effectiveness are likely to follow.